Are you searching for good quality with competitive price kitchen electric Food Choppers for your family using? Our 1.2L electric meat vegetable slicer and dicer Glass Bowl Food Choppers must be your choice. With powerful 350 watts 5425 full copper motor and overheating protection as well as medium size 1.2L chopping bowl, our food choppers are very suitable for family using. Moreover, this 1.2L Food Choppers have glass bowl and stainless steel bowl optional. You can choose them as you need. Waiting for your inquiry for more details about Meat Chopper soon. Looking for ideal 1.2L Electric Food Chopper Manufacturer & supplier ? We have a wide selection at great prices to help you get creative. All the Vegetable Slicer Dicer Food Chopper are quality guaranteed. 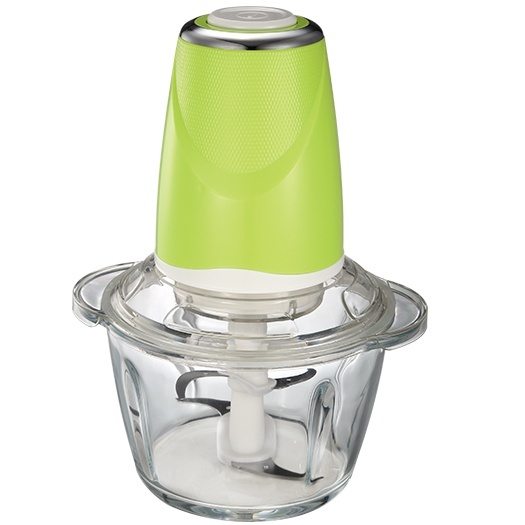 We are China Origin Factory of 1.2L Vegetable Food Chopper. If you have any question, please feel free to contact us.